Every so often an activity book comes along that surprises me. As a mom of two pretty crafty kids who love to get new activity books, but love-love to NOT actually use them, when I saw paint+stickers, I'll admit, I was skeptical. In my house, art and creativity is always encouraged. I'm even okay with the mess it brings. But me and paint (on my table... on my carpet...) and stickers (on my walls... on my car windows...) have a love/hate relationship. It had been a long, rainy autumn day. My daughters are ages ten and twelve and we homeschool. We'd been stuck inside all day. And they'd been bickering most of the day. We'd baked. We'd read. We'd watched a movie. We'd done schoolwork. And we were pretty much over everything. I was about to throw in the towel, cross my fingers, and send them outside in rain boots and with umbrellas when I remembered the activity book I'd received... Picture rays of sunshine beaming down from the sky miracle-style onto the book. Like I said, I was skeptical, but my girls went through each picture one by one and quietly, peacefully, beautifully finished the ENTIRE book. S (10 years old): "Paint by sticker was challenging, but fun and quicker than I thought it would be." A (12 years old): "This was a fun challenge. I'm going to hang my finished pictures on my wall." 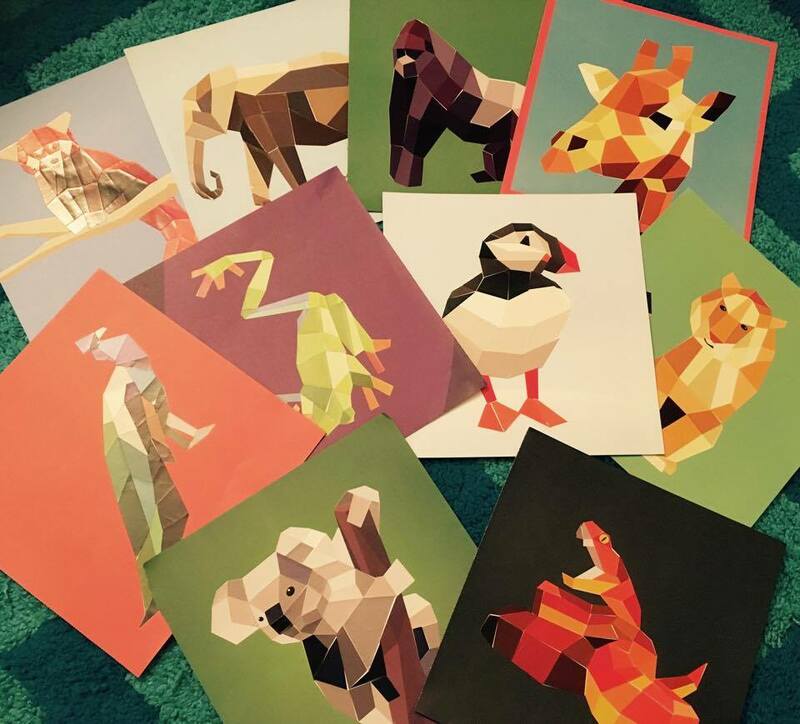 Want your very own? (Hint: Yes, yes you do!) 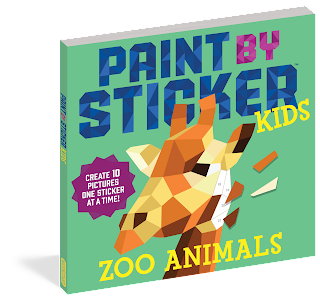 Enter to WIN a copy of PAINT BY STICKER KIDS ZOO ANIMALS! This looks really cool, I hope I win! Neat idea and new to me. This book sounds fabulous and for older kids to enjoy and finish the entire book is awesome. The photos when finished are gorgous enough--I would also hang them up when done.